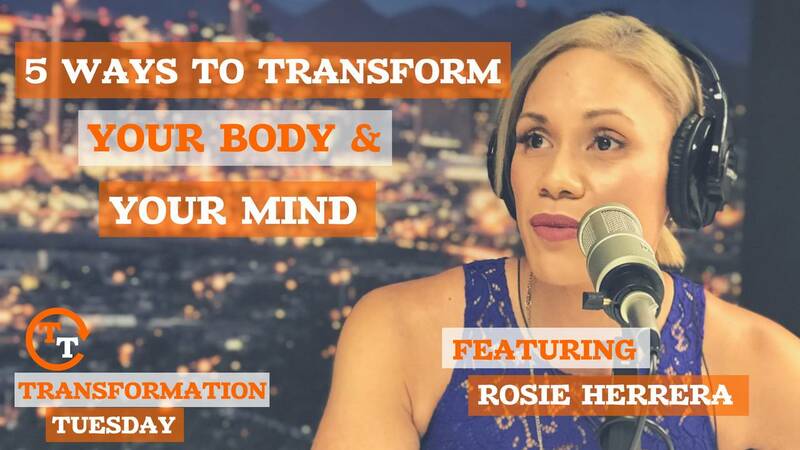 Rosie Herrera is a well known Fitness Trainer and Coach, owner of Lion’s Den Fitness, and social media motivator. On this episode of Transformation Tuesday, Herrera shares all of her best tips and insight. Including HOW she lost 100 pounds. Herrera had a major uphill battle before she was able to refill her cup. She suffered from severe depression after the tragic loss of her daughter. She was 250 pounds. And she didn’t want to get out of bed. “I try to be super transparent with my feelings and this is how I was able to transform,” Herrera says as she outlines the steps in her journey. Some might be surprised to learn that Herrera actually ate more to lose weight. In this episode, she details the way she did it. Herrera tells us that her story represents beauty from the ashes.